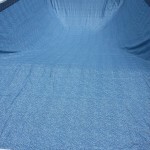 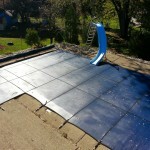 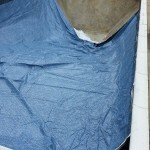 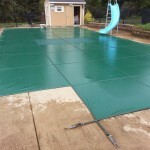 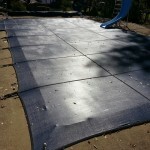 The packing wrinkles will disappear once the water level gets up and the sun hits the liner. 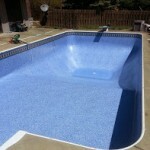 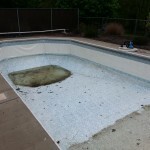 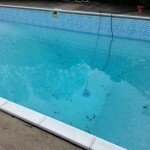 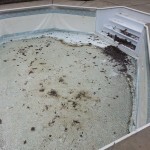 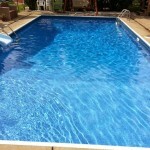 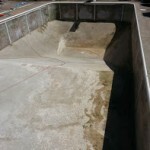 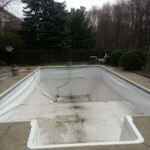 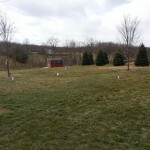 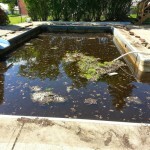 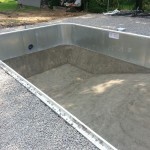 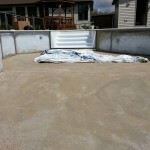 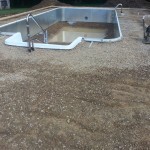 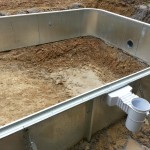 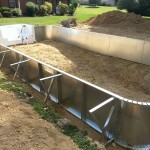 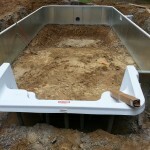 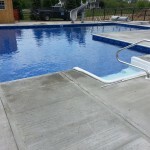 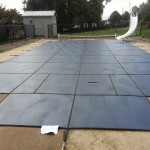 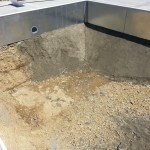 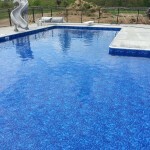 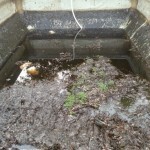 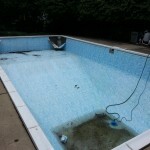 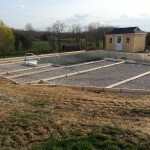 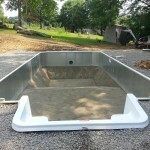 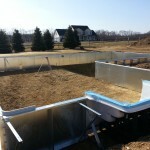 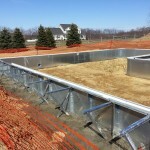 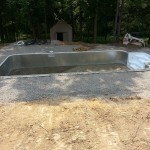 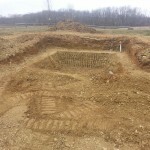 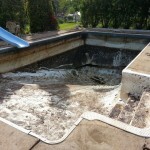 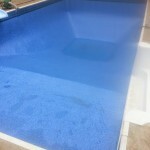 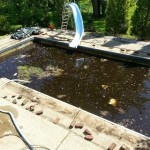 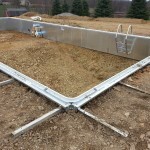 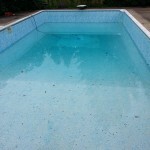 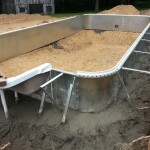 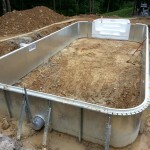 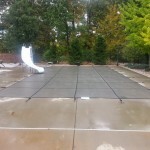 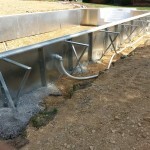 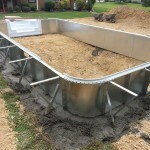 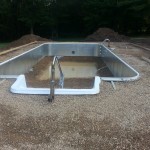 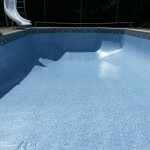 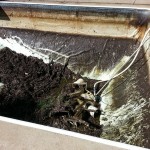 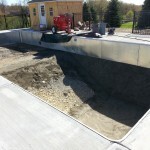 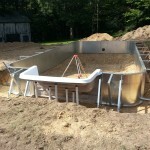 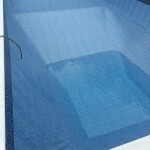 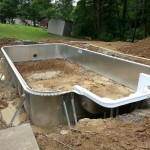 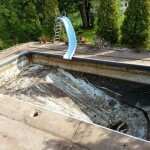 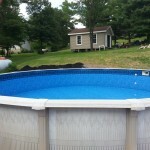 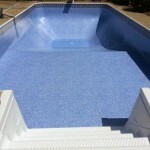 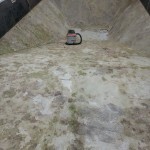 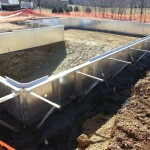 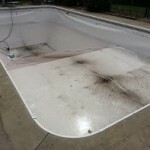 This is a pool that we service on a weekly basis. 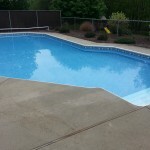 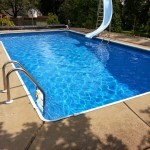 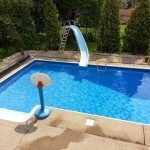 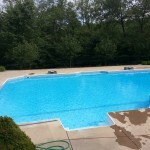 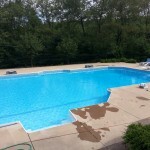 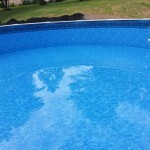 We offer weekly and bi-weekly pool maintenance packages. 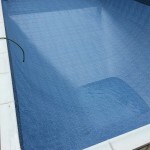 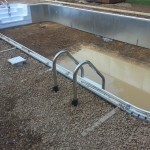 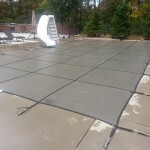 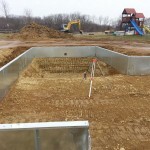 Pool maintenance consists of testing and balancing chemicals, cleaning baskets, checking filtration system operation and backwashing/cleaning filter if needed, sweeping pool, brushing walls, and netting the water. 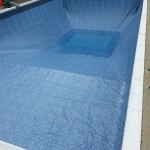 Please contact us at 724-897-7386 or email us at info@all-propools.com if you would like more information on our pool maintenance packages.